Fathers spend a lot of time worrying about how to make ends meet and provide for their families. Dads also have a lot of demands on their resources, and it can feel like their money is stretched the thinnest. 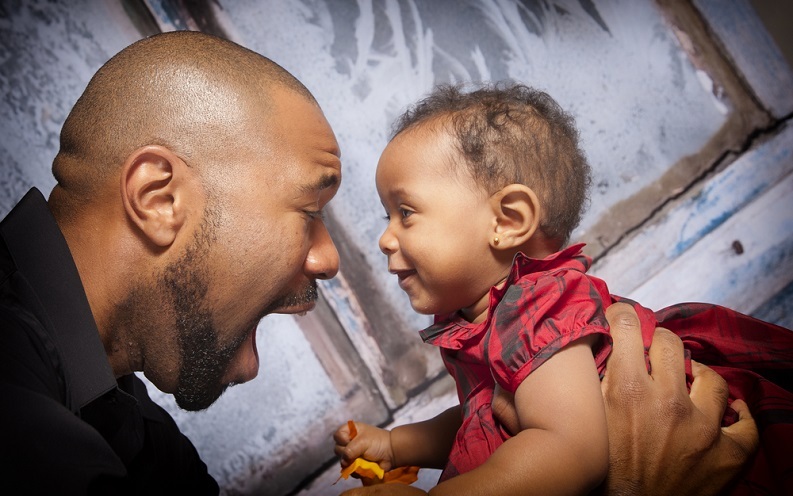 That's where some been-there, done-that advice from experts can help dads figure out how to prioritize their finances so that their money is going to what matters most. Click through to see tips from personal finance, business and travel experts on how dads can save money, make more money and help their kids get the most out of life. Entrepreneur and author Josh Felber's advice to dads is to put their money into themselves to get a strong return on investment with a greater earning potential. "Invest in yourself," Felber said. "Stop spending money on beer and sports and instead put that money to bettering yourself. Become a leader and take your family and career or business to the next level." Clark Howard, consumer expert and radio show host, said his best advice for dads is to save for the future. "Open a Roth IRA today so a Father's Day will come along when you won't have to go to work the next day," Howard said. Victor Ricciardi, a Goucher College finance professor and co-editor of the new book "Investor Behavior: The Psychology of Financial Planning and Investing Balance," said dads should balance spending wants with investment needs. "People often lack self-control and have a preference for spending money today instead of investing for the future such as saving for retirement," Ricciardi said. "Individuals should frame the investing choice as a source of funds they can spend in later years (like saving $2,000 per month to eventually buy a new car). When the investment situation is linked to a future spending activity, this increases the chances the person will decide to save money to reach their long-term investment goal." "If you love your kids, be a man and get a will done," advised David Bach, founder of FinishRich Media. Having a will as well as sufficient insurance will "protect your family if you die prematurely," said Bach. It's easy to assume the worst will never happen to your family, but as a father, it's still your responsibility to prepare for it just in case. "Teach your kids to save and invest starting at a young age," he added. "Show them the magic of and miracle of 'the latte factor,' how saving and investing just five dollars a day can change their life. Tell them the most important thing they can do financially in life is 'pay themselves first.'" Bach said his book, "The Automatic Millionaire," is a great resource to teach kids about investing and saving. Dads who are serious about saving should try separating their savings from everyday spending funds, suggested John Rampton, founder of invoicing system Due.com. "Take 15 percent of what you make out of every check and put it into a separate bank account that is a little hard to access," Rampton said. "This will allow you to save money every time that you make money." "As a dad, the most valuable thing you can teach your children is that money is not just an avenue to quick, cheap, instant gratification or a way to get the whim of the moment," Watson said. "It can represent the family's security, the attainment of long-term goals and a way to achieve their bigger dreams. A child who understands how to manage his or her money has a chance to master life. It is one of the greatest pieces of information we can give them." Robert Firpo-Cappiello, editor in chief of BudgetTravel.com, said that planning a vacation can be a great time to teach kids about finances. "It can help build the excitement of the vacation and teach them thrifty habits," Firpo-Cappiello said. "For instance, if you skip spending $20 on a pizza on a Friday afternoon after school, remind them, 'We're saving that money to spend on lemonade and funnel cakes on the boardwalk next week.'" David Solomito, marketing director for travel site Kayak.com, said travel spontaneity can be part of the fun this Father's Day, even for dads sticking to a budget. "With technology at our fingertips, it's easy to book a last-minute hotel room if you're on a road trip or just looking for a fun staycation," he said. "The Kayak app allows you to quickly search for same-day hotel rates that could save you more money -- it's so easy, you can let your app-loving kids do the honors." Digital business consultant Scott Monty's everyday saving tip also provides a great opportunity to teach kids about money. "Buying a lunch at work can become quite expensive over time," Monty said. "Instead, make lunch with your kids -- yours and theirs -- and help them learn to make their own lunches and to understand the importance of small financial decisions over time." Author and entrepreneur Peter Shankman said that one of his hard-learned money lessons as a dad has been to skip purchases he doesn't truly need by asking himself, "Do I really need it?" To help figure out if a purchase is worth it, Shankman said you should "Imagine where you're going to put it. Imagine if you're going to use it. Imagine it taking up space, cluttering up a closet shelf, or worse, a place in full view of you all the time on the kitchen counter or the dresser." This foresight can help you determine if you'll actually use a purchase or if that item's better left on the store shelf rather than wasting money and space in your home. Mark Frauenfelder, founder of Boingboing.net, said he has set up a self-imposed shopping rule to curb impulse buys. "I promise myself to wait an hour between the time I add items to an online shopping cart and pressing the buy button," he said. "I've avoided making a lot of dumb purchases that way." "Save money on everyday items so you can use those savings for the unexpected costs life throws your way," advised Shmuli Bortunk, publicist for 1Sale.com. Everyday savings can easily be found through deal-aggregating sites. If you want to save money, "Don't have any more children!" joked Jeff Bullas, a social media marketing strategist and speaker. For dads looking to make more money, Bullas provided this tip: "Start a website and blog, build an online brand and market and sell your packaged knowledge and passion to the world. On the social web, this can be done from the home office." Life insurance is a must for dads, and Greg Kim, chief revenue officer of SlickDeals.net, recommends whole life insurance even though it can be a little expensive. "It's like a tax-advantaged savings account," Kim said. Joe O'Boyle, a retirement coach with Voya Financial, said that saving early and often is key for dads to ensure their retirements stay on track. "Time and compound interest are a powerful combination when it comes to building wealth," he said. "Make sure you are setting your family up for future financial independence," said personal finance expert Philip Taylor, who blogs at PTMoney.com, adding that this begins with you and your partner securing your retirement funds. "It's tempting to want to throw all your energy and effort into your kids with gifts, trips, college savings and so on," he said. "But you shouldn't be doing those things at the expense of your future security. Your retirement savings should come first." Frederick J. Goodall, a speaker and daddy blogger at MochaDad.com, focused on retirement savings. "I recommend that dads contribute to their companies' 401(k) plans," Goodall said. "If your company offers a match, be sure to take advantage of it. It's free money." "Set up a draft from your bank account to your savings/investment account that occurs each month," advised Daniel Zajac, a certified financial planner, dad and blogger at FinanceAndFlipFlops.com. "This way, you save the money without even realizing it." "Start saving for college now!" said Jeff Rose, personal finance expert and founder of GoodFinancialCents.com. "Your kids grow up way too fast, and before you know it they'll be packing their bags for college." It's as simple as setting aside $10 a week at first, or opening a 529 college savings account and asking relatives or friends to add to that account when they want to give your kids a gift. C.C. Chapman, an entrepreneur and author who blogs at CC-Chapman.com, said that being a parent is part of what inspired him to work for himself. To other dads, Chapman gave this advice: "Realize that in today's world you can find or start a job that enables you to be home, attend your children's events and make money. Don't feel that your only option is the 9-to-5 (or more) slog that our fathers had to do." "Find what makes you happy," advised Conor Sanderson feature writer for ModernDayDads.com. Following this tip keeps money matters in perspective: "Happiness is something that can make one dollar feel like a million bucks. When money is your motivation there is never enough, but when you follow your heart and find something you love, no matter how much you make, you will be content with it and find a way to make it work. Happiness first, the money comes later." Dale Clarke, blogger at CashFlowBanking.com, said that dads with a business idea should find a way to pursue it, even if it means making temporarily minimum payments on your debts and contributing less to savings. " "Your kids are great examples of this principle," Clarke said. "They invest $5 or $10 in lemonade and ingredients for cookies and make $50 in just a few hours selling the products. We dads need to think like our kids and look for opportunities to make money instead of looking at alternative investments (such as the stock market, where we have little to no control)." Brian, a personal finance expert who started the blog DebtDiscipline.com, advised: "Make sure you have a 'Plan B' when it comes to your income." This is especially true if you're the breadwinner in your family. "If you work for someone else, that employment is never guaranteed," he said. Barbara Friedberg, who blogs at BarbaraFriedbergPersonalFinance.com, gave simple advice to dads: Spend time with your kids. "Your child appreciates the gift of time, play and hanging out the most," Friedberg said. That time doesn't cost money and means more than any gift you could give. "Things never take the place of time together." And it can be as simple as throwing a ball around, having a water fight or playing board games. Pauline Paquin, founder of ReachFinancialIndependence.com, underscored Friedberg's advice. "Don't give into the myth that you must spend money to enjoy time with your child," Paquin said. "Sure, there are times where you will spend money, but more often than not, it's the time spent together that shows love and grows the relationship." "A lot of dads feel like spending quality time with their kids means they have to spend money taking them out to eat, to the movies or to buy that new video game," said Derek Olsen, personal finance blogger at DerekAndCarrie.com. But his favorite way to spend quality time with his daughter is to go on a walk with her. "It's free. You get exercise, and you get to spend dedicated time just listening to and talking with your kids." John Schmoll Jr., a personal finance expert and creator of FrugalRules.com, also spoke to the importance of avoiding the trap of buying. "Being a great dad is about giving your kids love and support, not material things," Schmoll said. But go further, and when your child asks for something, use it as a teaching opportunity. "If you involve the kids with the family's financial decisions (for example, ask them whether they'd prefer a huge toy for Christmas or something smaller and a family vacation next summer), the kids will understand why they can't have everything and value your efforts to provide for them," he said. Mileage-earning checking account and credit cards are Kyle Stewart's money-saving secret. As owner of TripSherpa.us and a travel editor and blogger for Upgrd.com, Stewart and his family are always planning their next vacation. Stewart accrues miles just by paying bills, and he said this "both saves us money and allows my family to see the world." Plus even the money spent on a vacation earns miles. Altogether, Stewart said this practice "adds up to a couple of thousand dollars ever time we take a trip." "Organize it like a bank so they have a 'running balance' and can see how much they've accumulated," Taylor said. "They learn the value of saving up for things, and you save the pain of them constantly asking for things that you don't want to buy for them, like comic books and sweets." Jon Lal, founder and CEO of BeFrugal.com, said that subscription services can be big savers for new dads. "In the first few years of fatherhood, sign up for a repeat delivery service of the items you need most, like diapers," Lal said. "Not only will this service save you money (you get a discount for participating in repeat delivery from most retailers), but it's one last thing to worry about during this busy, happy time." Deacon Hayes of WellKeptWallet.com offered an unusual idea to save money as a new dad: "Throwing a diaper poker party." He said before his son was born, he invited several friends over to play poker. The buy-in was a dollar amount and a pack of diapers, and at the end of the night the winners kept the money -- and he kept the diapers. "We haven't had to pay for diapers," Hayes said. A smart money tip for dads is to follow a strict "no batteries" rule, said Josh Nite, blogger at TopRankMarketing.com. "We bought books, puzzles, board games and art materials for our son instead," Nite said. "We saved a fortune not buying mountains of plastic electronic toys, and he had a great time learning and playing. It was a win-win." True to his site's title, Beau, the blogger behind LunchboxDad.com, had a tip related to lunch. "Move dinner leftovers directly from the dinner table into reusable lunch boxes for the next day," he said. "That way you can use the food you already have and save money by not going out and buying lunch." "To save the most money, only pay for services you can't perform yourself," said Grayson Bell, blogger at DebtRoundUp.com. It can be tempting to offload everything to free up your in-demand time, but for dads, those costs will quickly add up. Instead, only outsource the tasks you absolutely hate, don't have time for and can fit into your budget. "There is a happy medium," he said. "Learn some mechanical and handyman skills so you can work on your own car and do minor repairs around the house," said Brian Fourman, a personal finance blogger at Luke1428.com. Picking up some new skills will save money and make you the hero of your household. Paying a little here and there to maintain or upgrade big-ticket items (like your home, car and computer) can save you from bigger costs later. For instance, "by investing $50 in a computer or laptop memory upgrade, which can be self-installed in five minutes, dads can extend the life of their computers," said Ed Walker, marketing manager for technology site Crucial.com, "ultimately avoiding hundreds or even thousands of dollars in costs (whether through buying a new computer or in repair costs)." "Dads and debt will always be a reality, especially with growing kids," said Dan Blacharski, spokesman for MoneyLend.net. While debt might be a necessary evil at times, dads should still try to get the cheapest credit with a low-interest credit card. "Your local lender might not have the best rates," said Blacharski. He recommends using "a reputable online lending portal" to easily compare rates and other terms from multiple providers.